Charlie Roberson is an attorney who lives and practices law in Gainesville, Florida. Charlie learned to dive in 1991 while serving in the US Navy. 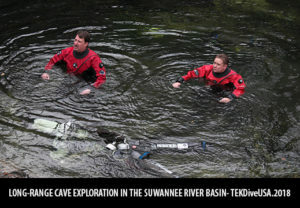 His checkout dives were conducted in the springs of North Central Florida, giving Charlie his first glimpse of divers entering the area’s caves. A few months later, Charlie was shipped off to Guam, where he spent the next two years diving the wrecks and deep walls of the Western Pacific. After returning to the states, Charlie moved to Gainesville, Florida to attend the University of Florida and pursue his dream of cave diving. He was fortunate to have great mentors during his formative years in the sport. Years later, Charlie is still cave diving and, along with his regular dive buddy, Jon Bernot, currently holds the world record for penetration in an underwater cave at 8,208 m / 26,930 ft.
Charlie is a Director of Karst Underwater Research (KUR) and has participated in numerous KUR exploration and survey projects, including Weeki Wachee, Manatee Springs, M2 Blue, Phantom Springs, Falmouth-Cathedral, and Lineater. 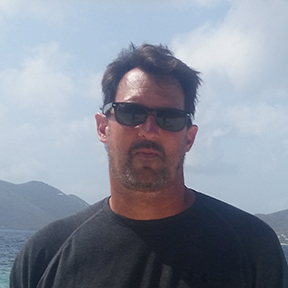 Charlie also serves as the Preserve Manager for the National Spelological Society’s Mill Creek Sink Preserve and as the Diving Coordinator for Florida Speleological Researchers Diepolder cave system.